"Abby is the best of the best! She makes you feel so comfortable and is so fun to be around. Her work is breathtaking and shows she is so passionate about photography. I will always be going to her. I can't recommend her enough!" "We are so happy we went with Abigail for our wedding! On the day of our wedding she was such a great and calm presence to have around, especially when everything else on your wedding day can become overwhelming. She went above and beyond in many ways, and a great example for that is when we realized the men left their tuxes behind, her first instinct was to offer and take these where they needed to be. That speaks great volumes to how she goes out of her way to make sure your wedding day is great. On top of being great on your wedding day, as you can see from her portfolio, her images are beautiful and full of attention to detail. We received our gallery today and it was like living the emotions of that day all over again, I can't wait to have that feeling come back to me every single time I look at these images. If you're thinking about booking with Abigail, go for it!" "Abigail was a wonderful part of our wedding day. She had so much fun with us and kept everything exciting. When things went wrong and our timeline messed up, she was flexible and kept things going smoothly. She made us feel like we were the most important people ever. She is so talented, I can't wait to see the pictures!!!" "I couldn't ask for a better photographer for our engagement and wedding. Abigail is a wonderful person and I love her enthusiasm while she is taking pictures. I love how she gets so excited over certain shots and just has to show you :) and how she is willing to go above and beyond for a picture. I would recommend her to everyone and can't wait till we do another photoshoot with her! Thank you so much Abigail!" "A-MAZ-ING! Hard to put into words how great working with Abigail was. 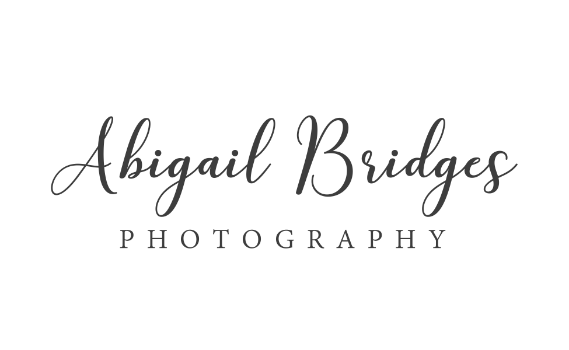 From the initial meeting, to the day of the wedding, to the day we received our photos, everything was smooth and Abigail was so willing to help and be involved in any way that she could. We felt so comfortable with her and I think the proof is in the genuine smiles and body language that she was able to capture in our pictures. I can’t imagine ever going with another photographer for any occasion in the future. Recommended to everyone!"